VILLANOVA, Pa. - Former Villanova University track & field standout Otis Paul Drayton has passed away at the age of 70 after a battle with cancer. A 1962 graduate of Villanova, Drayton ran track at Villanova from 1960-62. 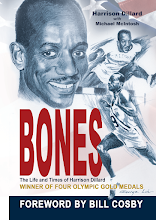 Drayton earned an Olympic gold medal at the 1964 Tokyo Games when he ran a leg on the winning 400 meter relay squad. That relay team set a world record with a time of 39.0 He also garnered a silver medal at the 1964 Games with a second place finish in the 200 meter dash. Drayton holds the second fastest time in Villanova history in both the 100 yard dash (9.2) and the 220 yard dash (20.1). On October 7, 1995, Drayton was part of the first class of track honorees to be inducted into the Villanova Wall of Fame.